The roof is one of the most crucial parts of a building, protecting the interiors from rain, wind, snow, heat, etc. Be it a construction for a commercial or residential purpose, the building of a roof requires a high degree of skill and labor. There are a number of reliable roofing companies in Saint Louis, Missouri that provides good roofing services but there’s only one that is capable of providing excellent roofing service and unmatched customer service to clients for many years… Beneficial Roofing! First, Beneficial Roofing has the eye for design and the heart for construction. When it comes to home roof building, the families are mostly naive. So, the roofing company has to have an expert team suggesting an innovative as well as satisfactory roof design. Next, the material of the roof are chosen wisely by Beneficial Roofing so that it ensures maximum durability at an affordable cost. It is always clever to provide a free estimate and to give the families a few options regarding the raw materials and the budget. Third, Beneficial Roofing has a team of technically sound and efficient workmen who will provide excellent service within the stipulated time. A regular report on the progress of the work is vital to achieve the trust of the client. Beneficial Roofing of Saint Louis, Missouri has a number of options when it comes to the material of the roof. Wood shingles, tiles and slates, berridge metal, and redecks are some of the popular materials for residential buildings. At present, more and more clients are preferring metal over the other materials for their homes. The main reasons behind this are: metals are light, durable, fire and hail resistant. They are energy efficient, they help to shed snow easily, and have a low maintenance cost. The metal roofing contractors from Beneficial Roofing offer different styles, keeping in mind the locality, the architecture of the rest of the house and the personal taste of the client. The most popular is the ‘country manor shake’ that carries the essence and charm of wood shake roofing without the usual problems of a roof made of wood. Next in line is the ‘oxford shingle’ which has the elegant appearance of architectural shingles but is long-lasting and has unparalleled efficiency. Another popular type is the ‘rustic shingle’ that has a rugged, woody texture providing protection and aesthetic value. And last but not the least is the all time favourite ‘standing seam’ made of rust-free aluminium. Beneficial Roofing of Saint Louis, Missouri is a roofing company specializing in residential roofing provides protective maintenance service which is a regular inspection of the roof in order to avoid any emergencies. Since the roof is directly exposed to the adversities of nature, it is prone to damage. 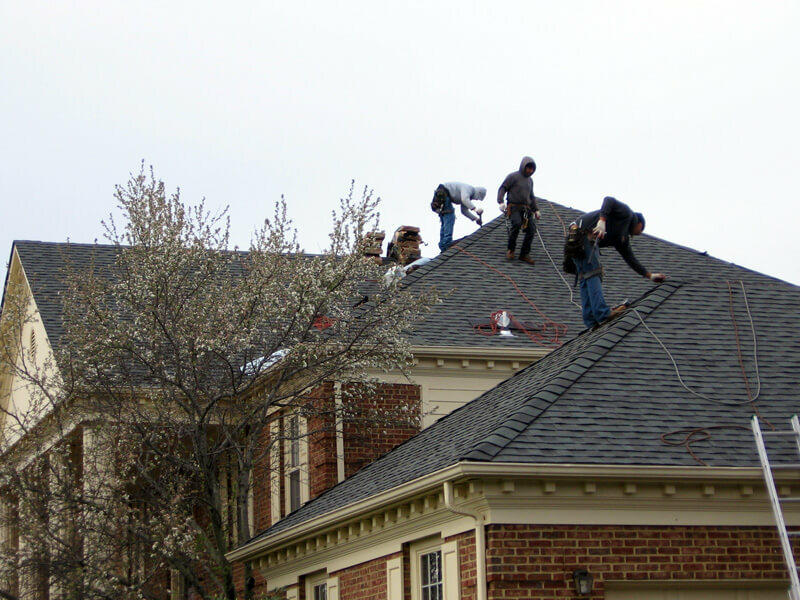 A dependable roofing company has competent inspectors to detect any damage in the roof. A roofing repair by Beneficial Roofing of Saint Louis, Missouri involves the use of thermal detectors to examine the roof thoroughly for any kind of leaks, cracks, etc. The identification of a minor roof problem at present and repairing it will prevent any major disasters in the future. Green roofing, which is an eco-friendly roofing system, is also emerging as a promising roof construction technique in different communities in Saint Louis, Missouri . This system makes use of recyclable and energy efficient products for building the roof and involves the installation of skylights, solar panels, radiant barriers etc. Whatever be the material or design, a bit of personal touch to the work is the secret to an efficient residential roofing system. Next time you need a residential roofing work, you can highly depend on Beneficial Roofing!